ANTRAX equipment is a high quality hardware that can be integrated by various configurations that depend on the region of call termination, period of return of investment and client’s budget. Our VoIP hardware (VoIP equipment) is flexible and scalable – module-based solution to start fast and expand business. GSM and SIM boards are installed in individual bearing blocks at different locations. It solves the issue of bypassing ANTI FRAUD systems of mobile operators by live subscriber’s behavior imitation. It extends the security level and substantively reduces the risks, increasing profits and economizing money on support. 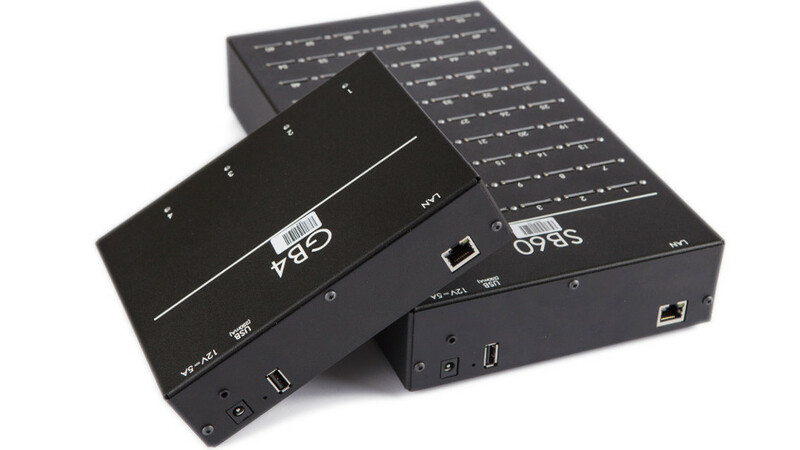 This is a perfect solution for termination of large volumes of voice traffic. Either you are experienced terminator or a start upper you should know: ANTRAX really helps to protect your device and help to avoid SIM blocking. Each GSM terminator who has already been terminating knows you cannot avoid blockage completely but you can minimize it. We got quite an innovative solution for SIM blocking minimizing, which is called ANTI-SPAM. It’s a program, which allows to group lists of incoming calls in three groups: black, grey and white lists and filter them. Getting our equipment, you can be sure your SIM cards will be absolutely safe! Here you can download product data sheets ANTRAX with technical information in *.pdf format.